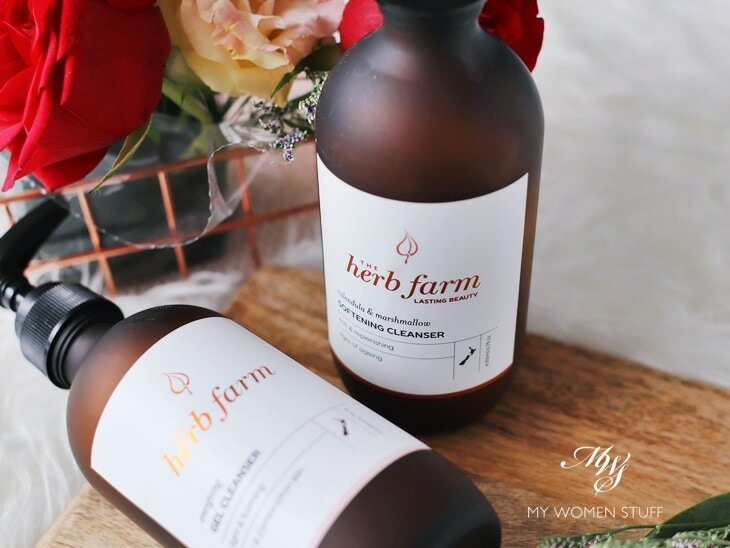 The Herb Farm is a natural skincare brand from New Zealand. I’d tested some samples before this. It isn’t a very big brand, and it has quite a basic selection of products that are fairly gentle on skin. Seeing as I enjoy using cream cleansers and have drier skin, I thought I might like the Calendula & Marshmallow Softening Cleanser. The cleanser pumps out as a thick cream that feels quite lush on skin. The directions suggest that you use 2-3 pumps, but I find it to be far too much. When I follow their recommended use, I find that the cleanser feels heavy and oily and does not clean off easily. This is quite a pain in the mornings. I could use a face cloth, but I never do in the morning, because really, who can be arsed to 😛 For me, the sweet spot is 1 or just slightly more than half a pump of product. When I cut down on the product, I found it to be more comfortable. It feels just as lush on skin, and it rinses off more easily. 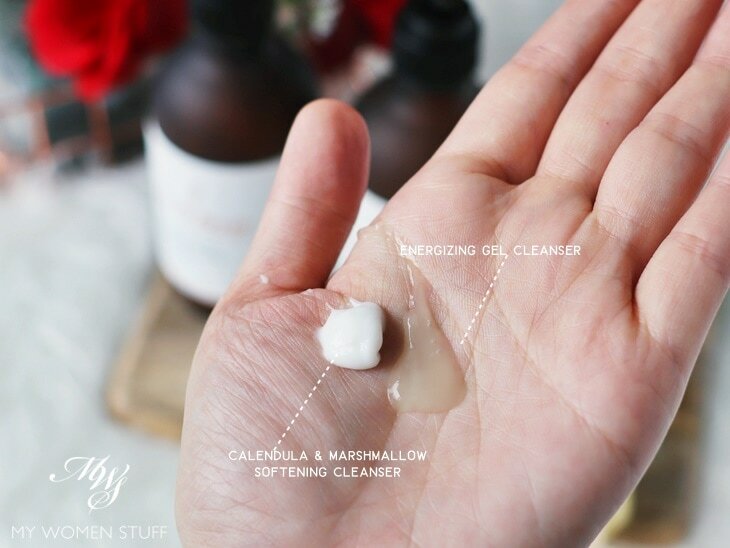 However, I do find that rinsing off the Calendula & Marshmallow Softening Cleanser takes a little more work than with most other cream cleansers I use. I have to spend more time rinsing, and it isn’t as easy to remove. It also will leave a little residue on the skin. That’s fine if you have dry skin as I do. It does not strip your skin, and it does feel comfortable. But if you have sensitive skin, then I don’t think the repeated washing will be very good for you. I have kept this by my sink next to my Pixi Rose Cream Cleanser for months now, and each morning, I reach for the Pixi because I just know it is less of a hassle. Ultimately, I think this is a good product, but only for those with dry skin, who can afford to spend a little more time in the mornings working with it. The Energizing Gel Cleanser is more targeted at those with oily or combination skin types. Naturally, I wasn’t too sure if I, with my drier skin, would appreciate it. The texture is more liquid, as you can see above, but it isn’t too runny the way many gel cleansers are. It does foam up a little, but not very much. In fact, I don’t notice it to foam up at all, unless you use a significant amount. For my use, I find half a pump of product to be just right. The Herb Farm recommends 2-3 pumps, but in my view, that’s just wasting product. You will get a good enough cleanse with just 1 pump. What I like best about the Energizing Gel Cleanser is that it makes your skin feel clean, but it does not strip it and leave it feeling dry and tight as most gel or foaming cleansers do. I use this in the morning, although I’d comfortably use this in the evening as a second cleanse as well. The Herb Farm also says that the Energizing Gel Cleanser operates as a makeup remover as well, but I am a little leery to try it as one. I prefer to use a first cleanse of either a cleansing balm or cleansing oil, and I then follow up with the Energizing Gel Cleanser, as a second cleanse. While I shy away from foaming or gel type cleansers, when faced with either the Energizing Gel Cleanser or the Calendula & Marshmallow Softening Cleanser in the morning, I tend to gravitate to the former. Special mention must be made of the packaging. 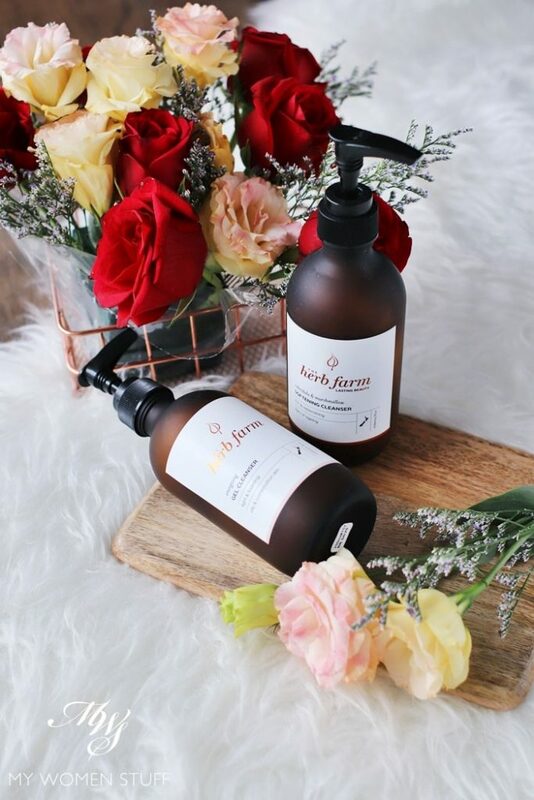 The cleansers come in beautiful frosted brown glass bottles with a pump that is quite easy to control. You can pump out half a pump as easily as you can a full pump, which is important, because I feel that you don’t really need more than that each time. 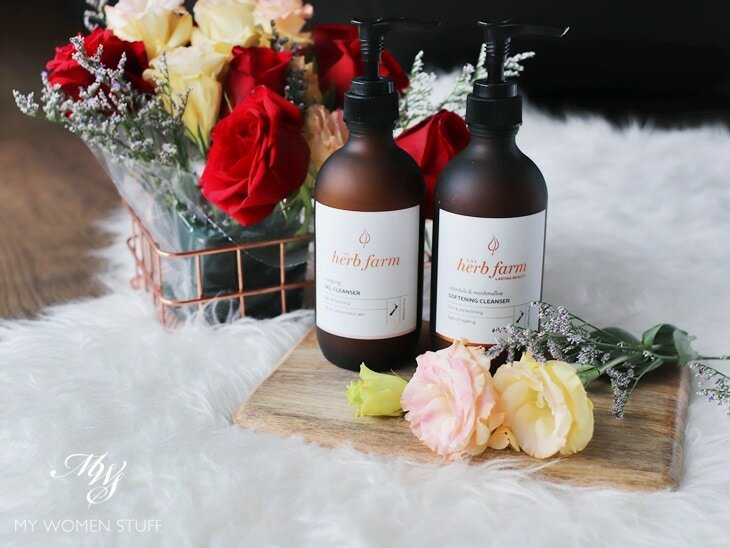 Have you tried any of The Herb Farm cleansers? Anything else from the brand you’ve tried or like? I’ve found that generally, I take well to cleansers and moisturisers by natural-based brands. They are usually more gentle on skin and that is always a good thing! I’m a big fan of gel cleanser and works well since I have oily T zone. My favourite gel cleansers are Jan Marini C-Esta Cleansing Gel in the morning and Glowbiotics Probiotic Acne Treatment Cleanser at night. Have been using this combination for a few years now. Sometime cream and oil cleanser break me out, maybe I didn’t rinse well.